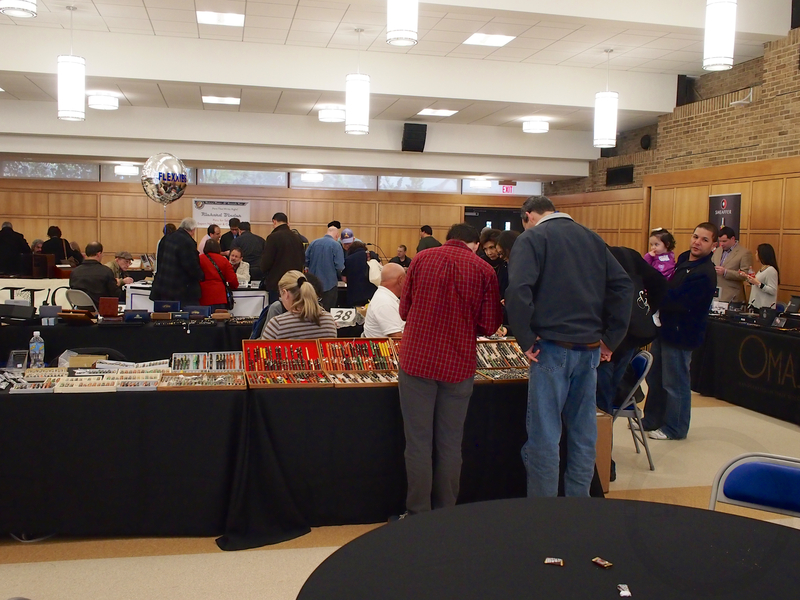 This past weekend was the annual Long Island Pen Show. I attended last year, and I’ve been looking forward to this year’s show for months. 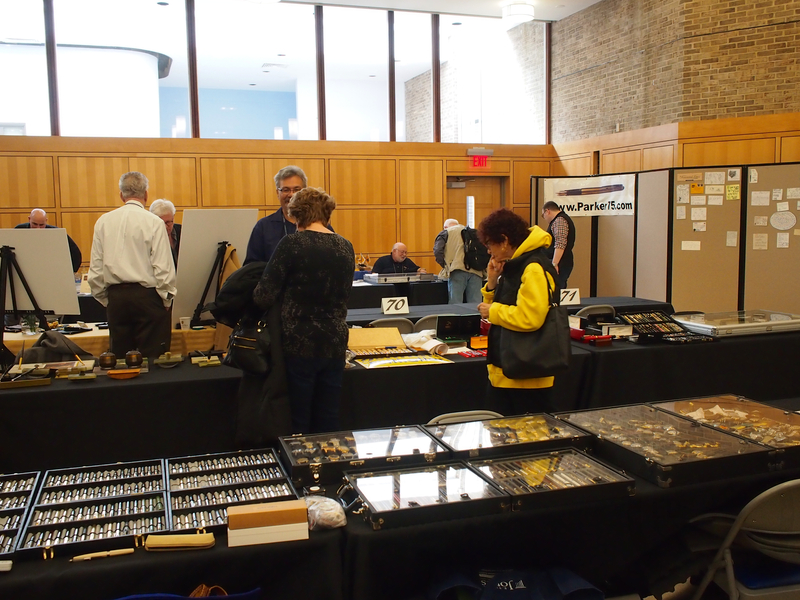 This was only my second pen show, but going last year really helped me to know what to do. First thing worth mentioning, is that I completely broke all the rules by not having a list. It helps a lot to go into these things vaguely knowing what you want, and then seeking them out. 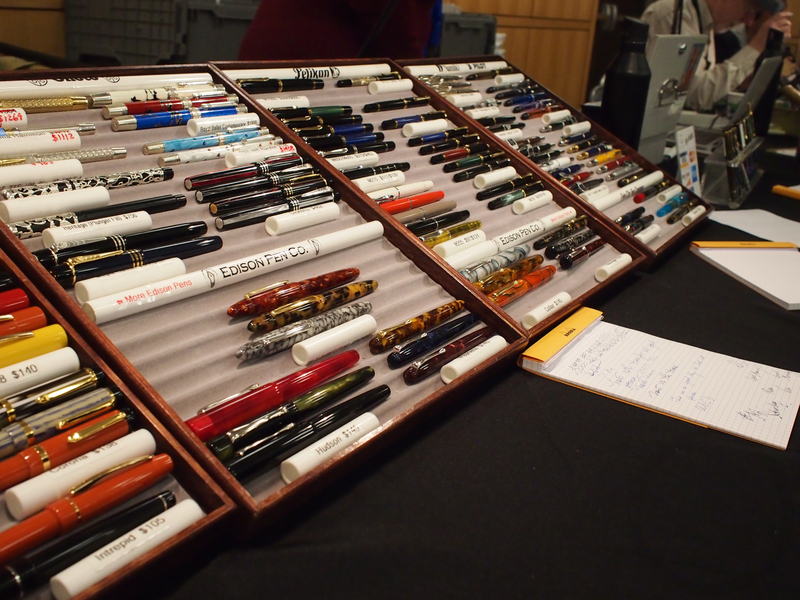 This post is pretty much a casual rundown of my day there, and if you have any questions regarding pen show etiquette or routine, please feel free to ask! My first order of business upon walking in the door was to immediately get my name on Richard Binder’s list to get some nib work done. As soon as I got in the door, I headed over, and got lucky #13 on the list. They predicted the wait to be about 3 hours, which gave me a ton of time to see the rest of the stuff at the show. 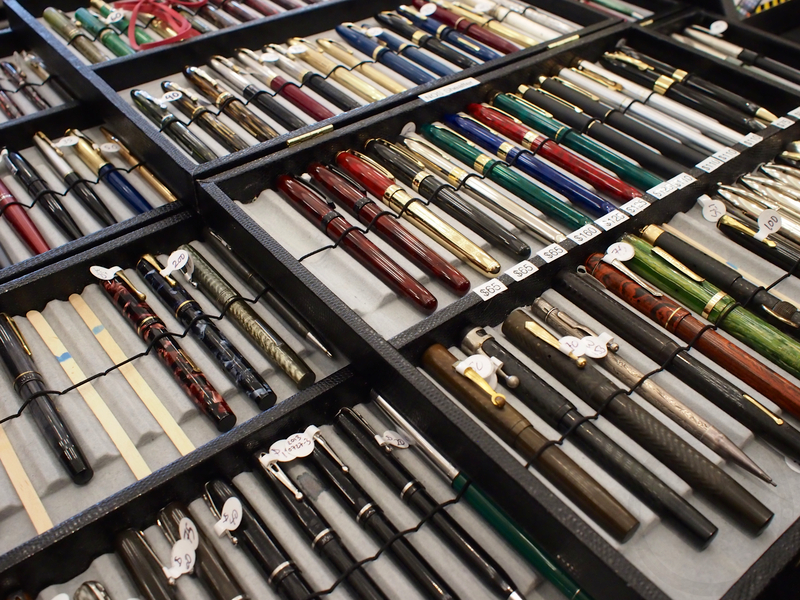 There are tons, and TONS of vintage pens here. Most of them are vintage actually. I’m not too much of a collector, but it’s cool to see so many different makes, models, and years of fountain pens. 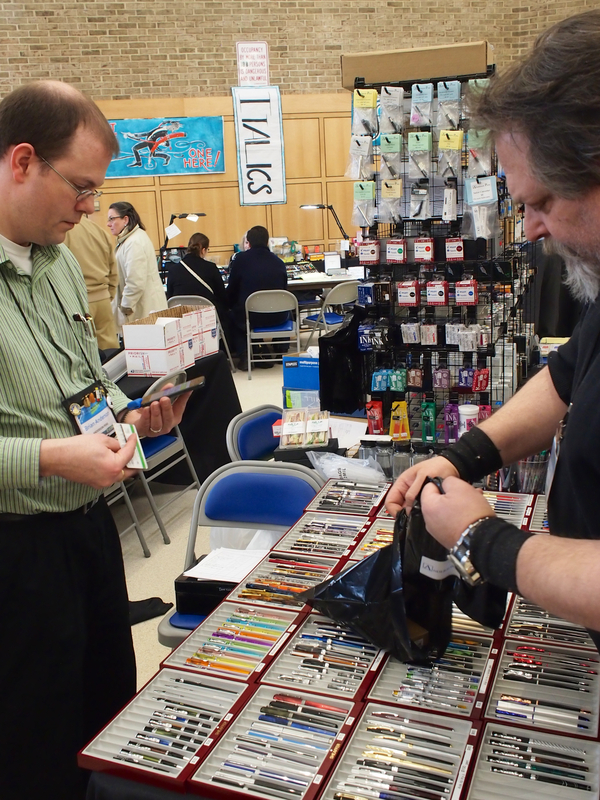 Last year I walked away with a vintage Parker Vacumatic from Terry, who runs the show and the Long Island Pen Club. I also purchased a NOS Sheaffer Snorkel last year, that has done a good job at holding me over from buying more. I was on the lookout for a Golden Web Vacumatic, but the only one I saw there was $275 with a bum nib. Ouch. Front and center of the entryway to the show is the Anderson Pens table. 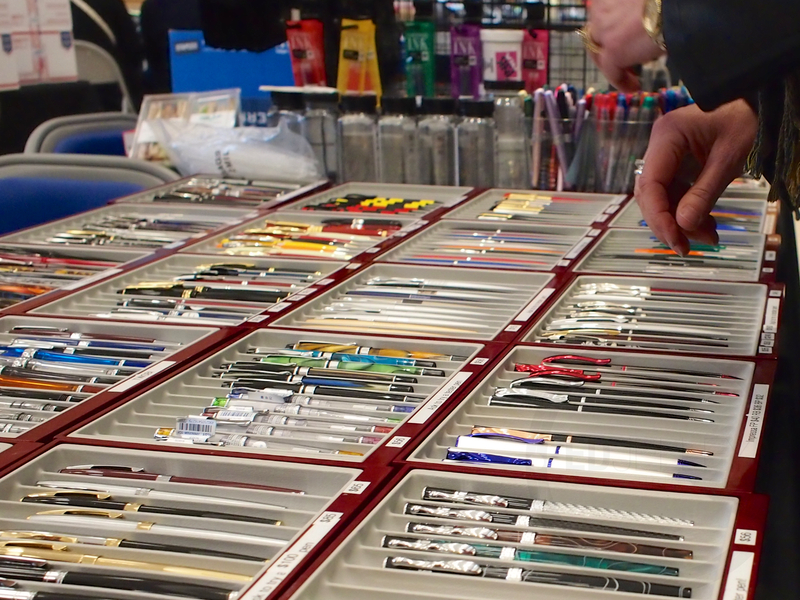 They have a TON of new pens, everywhere from cheaper Pilot Metros to some awesome Viscontis. 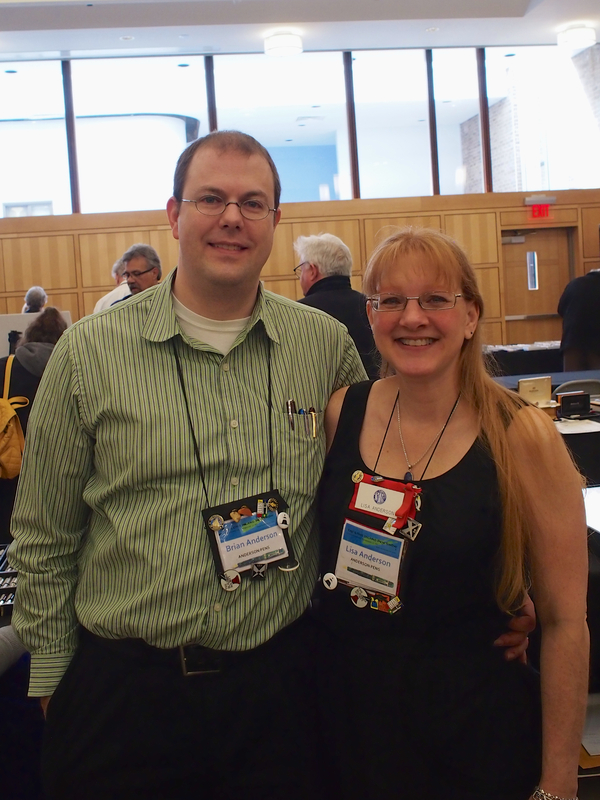 The Andersons are both super friendly and approachable, and it was great to see them again this year. It was an absolute pleasure chatting with them throughout the day. 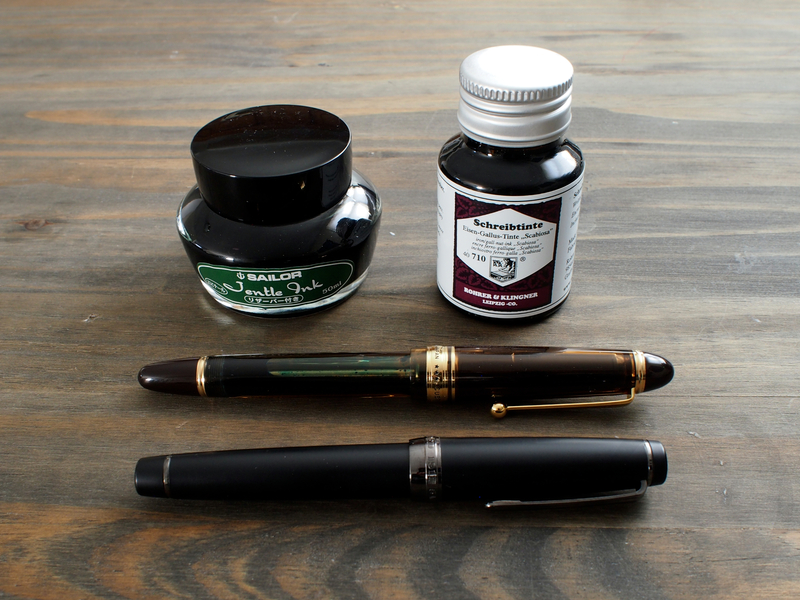 I ended up picking up a bottle of Sailor Jentle Epinard (an awesome dark green with a gold sheen) and a bottle of Rohrer and Klingner Scabiosa (a dusty purple iron gall that I love). Even more vintage pens. 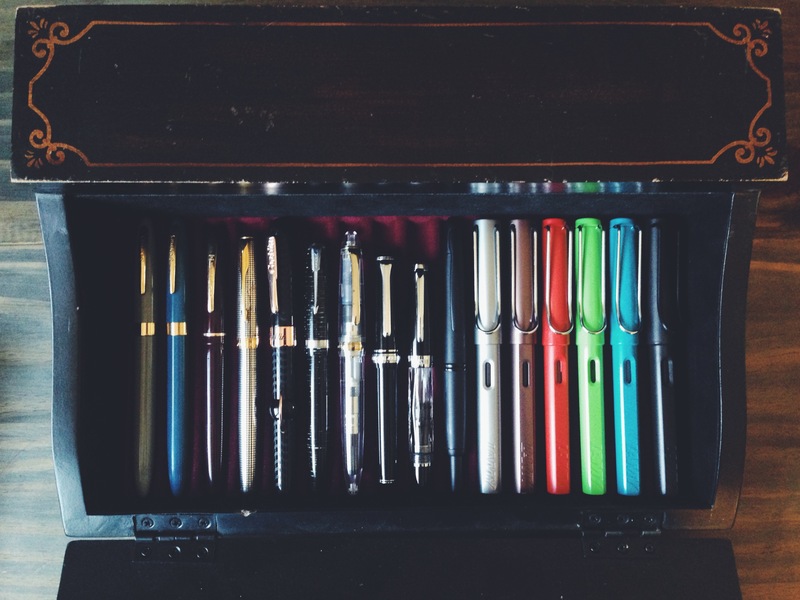 The room may not seem huge, but when you take into consideration how much room a single pen takes up, there are thousands and thousands of pens in here to look at. Oh look, more vintage pens! 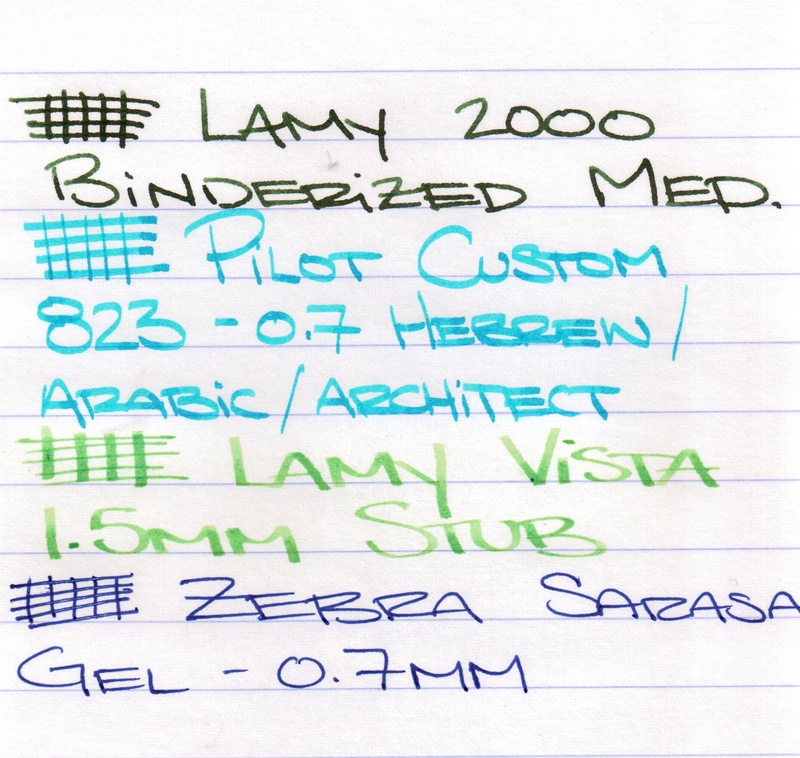 Here’s a view of all of the Rhodia / Exaclair goods that Terry was selling. You can see the corner of the ink testing table in the lower lefthand side of the frame that had a ton of Noodler’s and J. Herbin inks to try out. The station had some dip pens so trying out a bunch of inks was an easy task. 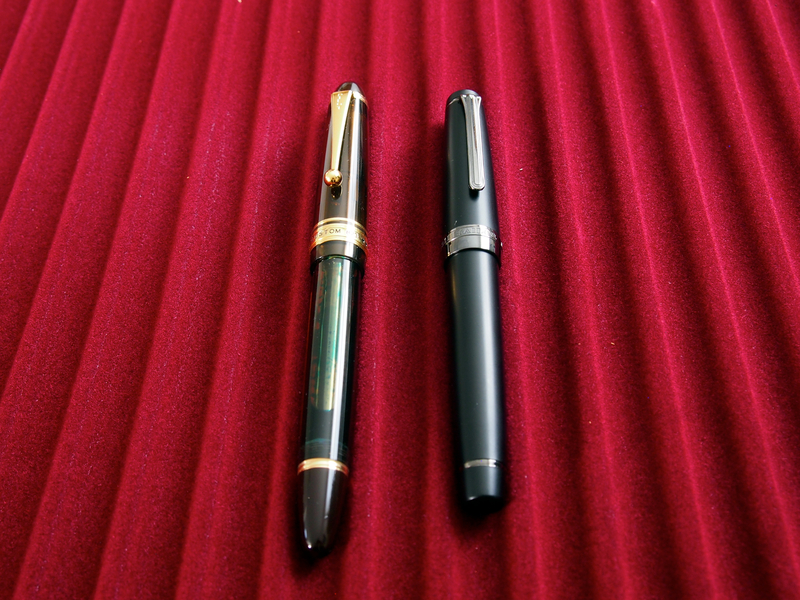 Some of the vintage pens that the Andersons brought with them. There were a bunch of really nice condition pens here. Alas, I didn’t go for anything vintage this year. The ink selection at the Andersons table. There were SO many inks and they were all nicely swabbed in those binders. It made purchasing them an easy task. The new pens offered at Richard Binder’s table. So here’s where my wallet took the biggest hit. I didn’t intend to buy one, but somehow I ended up with an AMAZING vacuum fill Pilot Custom 823 in amber, with a custom 0.7mm Hebrew/Arabic italic grind done by Richard Binder. If you buy a pen and want a customization, you essentially get to skip the line. It makes sense that anyone looking to purchase a pen will get priority. 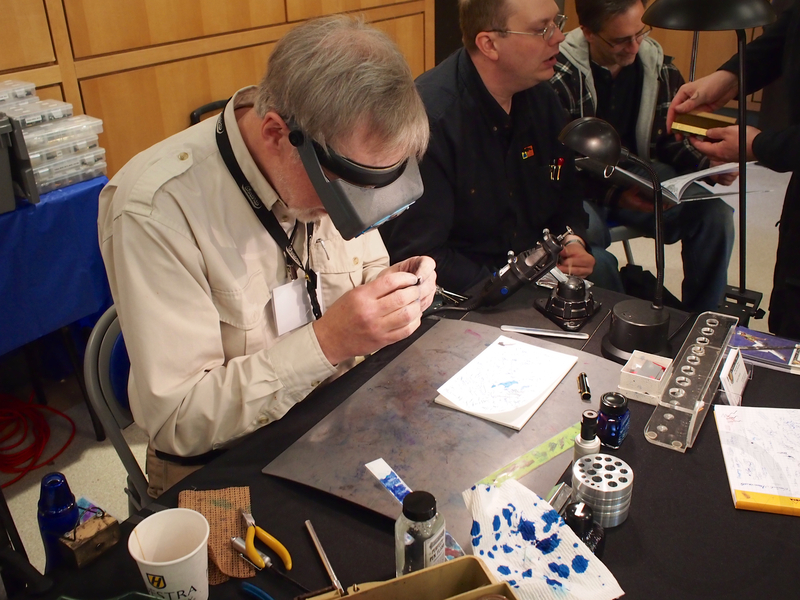 It’s a real treat to see Richard grind the nib and drop some serious fountain pen knowledge at the same time. The pen performs like a stub nib, but reversed. The downstrokes are narrow instead of broad, and the cross strokes are broad instead of narrow. It makes for some really awesome looking writing. Also, instead of it shading downwards, the ink shades sideways. It’s unlike anything in my collection, and I really love it. Expect a full review of this soon. Also, Todd of ThatOnePen.com was at the show and we talked for a bit. Great meeting him as well! More pens from the Anderson’s table. It was a big surprise to see Sunny here.  Sunny works for Exaclair Inc., the US distributor of all things Rhodia, Clairefontaine, and J. Herbin. 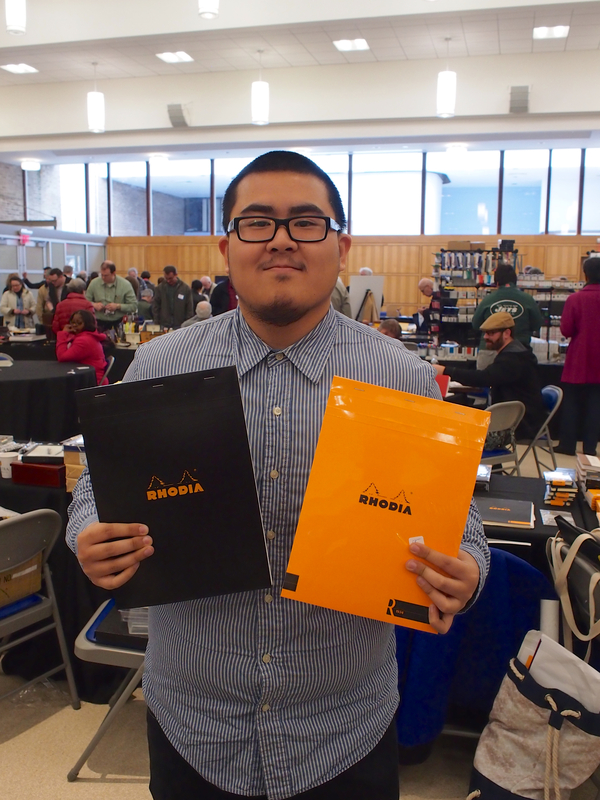 I had the pleasure of working with Sunny on some videos for Rhodia back in May. It was great seeing him again, and I tried my hardest to get him to spill the beans about new product, but he’s a tough one to crack. All I got out of him is that there’s some cool stuff coming soon. So I ended up buying the Pilot Custom 823 with the custom ground nib, and I got my Sailor Professional Gear Imperial Black “Binderized”. It was writing a little scratchy, and the flow wasn’t as inky as I wanted it. After a few minutes on Richard’s bench, it was writing like it never had before. The pens are resting on a pen tray I picked up from the Go Pens table (they sell them online too for $7) that I had cut to fit a desktop box I had at home. I’m really happy with how it came out, and it fits a bunch more pens than the foam I had crudely cut that was in the box before. I have another tray of the felt-lined material that I want to get a larger box to line. So far, so good though. Overall, I’m really happy with my purchases, and I had a great time. I have some new ink to play with and a new pen that I absolutely love. It was great to meet some readers of the site as well. Someone had found out about the pen show because of my post the other day, which was really cool. We introduced ourselves, and Saul and I got to talking, and he found my site through the Pen Addict Podcast. He found the Pen Addict podcast because he listened to other podcasts on the 5by5 network, and kind of fell feet first into the fountain pen world. He ended up picking up a new TWSBI 540 and a Pilot Vanishing Point in Gun Metal / Matte Black. He had mentioned that since listening to the podcast, he backed a bunch of kickstarter pens as well. I happened to have my Karas Kustoms INK with me, and I let him try it out. He really liked it, and I was glad that I could give him an idea of what to expect. 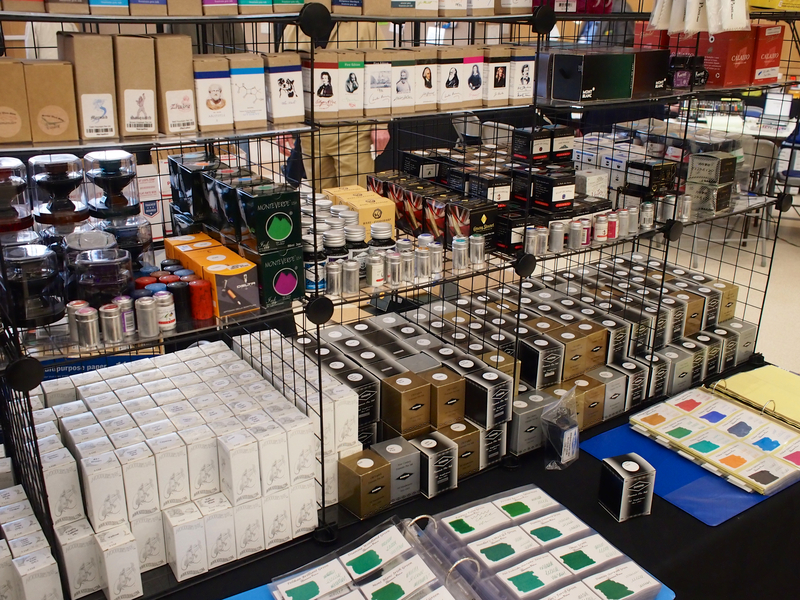 If you can, definitely try to make it out to your local pen show (if you are fortunate enough to have one near you). 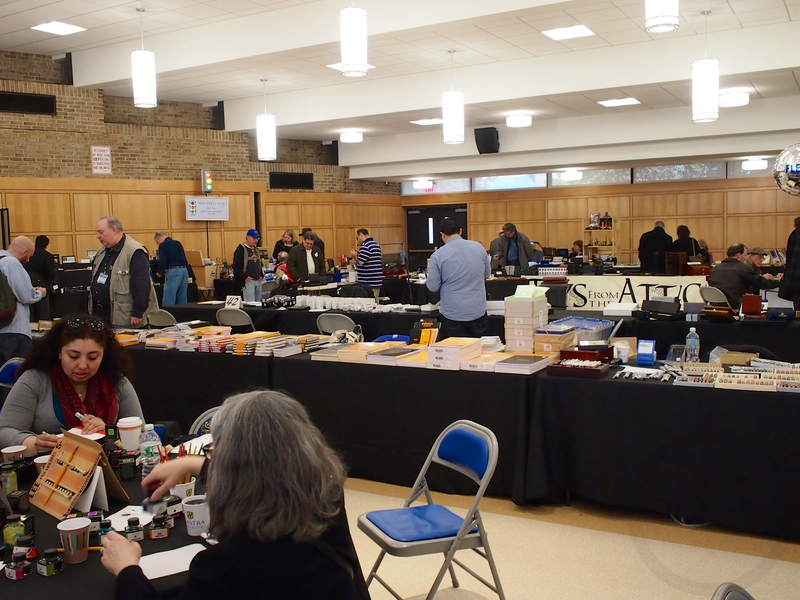 It’s the best way to get your hands on a bunch of different styles of fountain pens and meet some of the nicest people around. 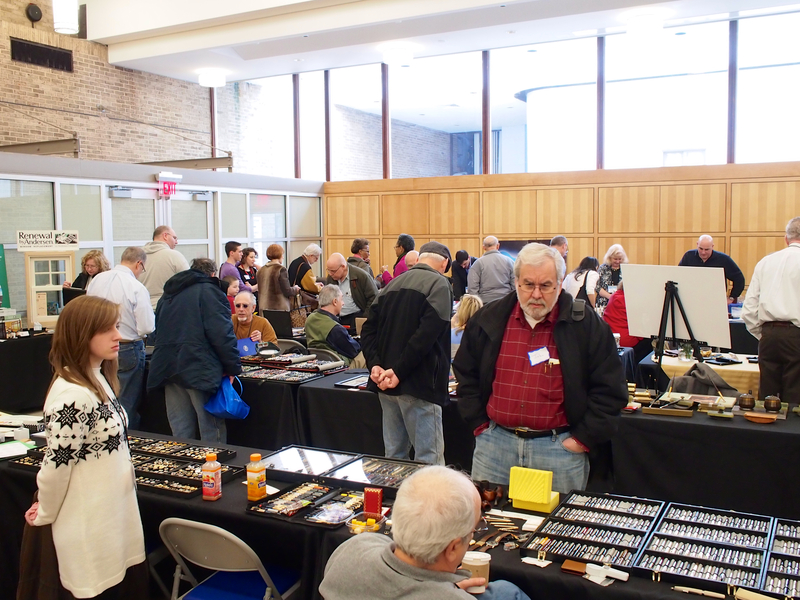 Have any questions about attending your first pen show? Feel free to ask in the comments! Very wonderful report, Ed, thanks! I look forward to the review of that beautiful 823 with fear and anticipation. Have never tried the Hebrew/Arabic nib and will probably want one now. But maybe there’s hope for me! Maybe that nib will turn out to be a nightmare! I’m definitely going to be spending a little more time with it before doing the official review. So far, so awesome though. It’s really different, and it’s exactly what I’ve been looking for. Oh! It looks like a dream. I would love to see an Arabic or Hebrew writing sample here because it is quite hard to imagine narrow downstrokes and broad upstrokes on a nib. If you look on wikipedia there are some good examples of printed hebrew which has the style this pen gives–wide crossbars, thin vertical lines. I think the guys who hand write torah scrolls–the hebrew bible–use brushes though, not nibs like this. But maybe I’m wrong…that would be cool to find out too. I’m glad you had a good time there. I love pen shows, and I look forward to the ones in Raleigh and DC every year. I didn’t take a list to Raleigh last year, and I came away with all kinds of good things. Great overview Ed, I will get to a show sooner or later. Funny that my last pen acquisition was the same 823 but with a Mottishaw Stub. I love it alot. Don’t forget the 2 mm gap they suggest for the filler cap. Mine definitely kills the flow if I don’t open it up as suggested.